Cabbage and Noodles with a Twist! Fabric Softener: Cheap and Easy! Combine all ingredients and stir well. 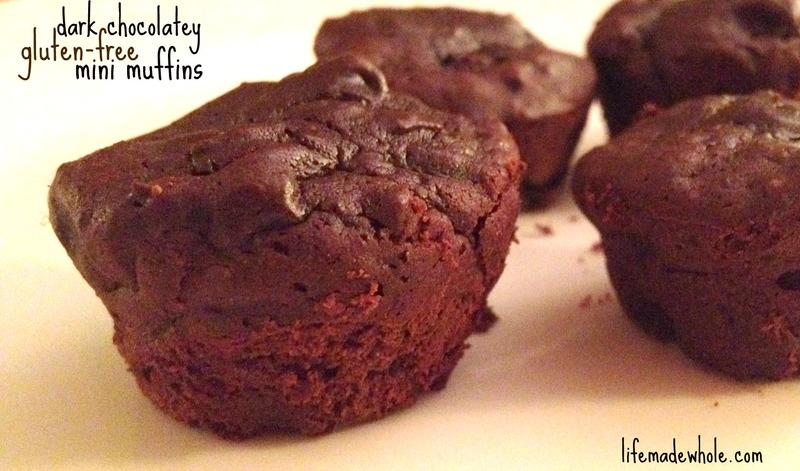 Scoop into mini muffin pan (should make 12.) Bake for 11-12 minutes. Do not bake too long or they will be dry. Remove from pan when cooled. Top with peanut butter or strawberry jam if desired. Pour a glass of milk and enjoy! This entry was posted in Desserts, Easy Kid Treats, Gluten-Free and tagged chocolate, coconut oil, gluten free, maple syrup, muffins. Bookmark the permalink. Just an ordinary mom helping you make informed decisions for the health and wellness of you and your family. Providing simple recipes using whole ingredients. Giving tips and ideas on living well in your home – as chemical free as possible. Let’s go on this journey of whole foods – whole living TOGETHER! Guacamole – 5 Minutes – 5 Ingredients!